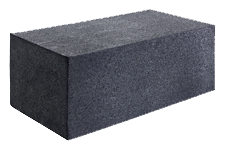 Ballistic rubber blocks are meant for direct fire as a backstop and are designed to encapsulate rounds, defeat ricochet, reduce splatter, and airborne lead. 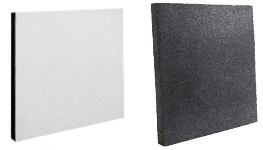 Ballistic rubber panels/tiles are meant for indirect fire (side walls, ceilings, floors) and are designed to reduce ricochet, splatter, and airborne lead. 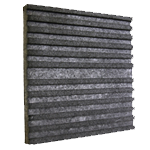 Special Order Depths: 1", 1.5", 1.75"
Acoustic Ballistic rubber panels/tiles are meant for indirect fire (side walls, ceilings, floors) and are designed to reduce noise, ricochet, splatter and airborne lead. Zero in weapons at three heights - 4", 7" and 10". 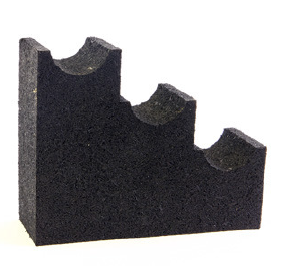 Molded rubber construction will not mar weapon. 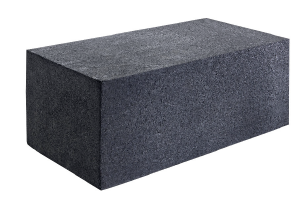 Portable alternative to sandbags. UV protection for indoor or outdoor use.